Our on-going events are free and open to all. Downstairs accessible via down-ramp near parking lot. 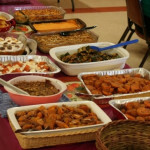 Please join us in welcoming our refugee family on Thursday, April 4th at 6 PM with a Pot-Luck Dinner. We hope that you will attend to help them feel a part of the community! Friday, April 5 – Sunday, April 7: Annual Men’s Retreat! The Men’s Retreat weekend will be held at the Senexet House, in Connecticut. 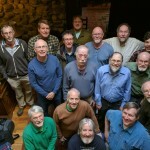 Any man associated in any way with the Melrose UU church can attend the Men’s Retreat. Registration is open for the 2019 retreat. A retreat planning meeting will be held in March. We believe any man who wants to come should be able to, regardless of circumstances. Please reach out to Reverend Susanne regarding this. Click for HERE for more details about the Men’s Retreat. Friday, April 26 – Sunday, April 28: Annual Women’s Retreat! 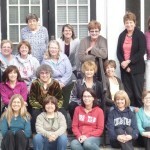 The Women’s Retreat weekend will be held at the Craigville Retreat Center on Cape Cod. Any woman associated in any way with the Melrose UU church can attend the Women’s Retreat. Registration will open for the 2019 retreat in February. A retreat planning meeting will be held in February. We believe any woman who wants to come should be able to, regardless of circumstances. Please reach out to Reverend Susanne for this. Click for HERE for more details about the Women’s Retreat.